Hope the first few days back at work weren't too manic!! And if like me, your week was absolutely bananas, well congrats on surviving it and making it to the weekend!! My latest post is on surviving a busy classroom and one of my favourite techniques for sharing my time in a non-stop, busy, action packed classroom!! A productive classroom is generally a busy classroom, and with usually just one teacher to go around, it is often hard to share your time with everyone.......especially at the same time!! I'm a big fan of station work, and I think it is definitely a methodology that can be put in place in all classes....you just need to be willing to spend some time training your students into effective ways of working and behaving during station work! I find it essential to spend some small group time with your pupils, particularly during English, Maths or even Aistear...but sometimes this is virtually impossible....especially in a busy, bustling classroom! A solution I came into using while I work either one-to-one with a child or with a group is my 'oh-so-stylish' Busy Hat! Oh yes, who said the dressing up just had to be for playtime!! The children become aware that when I wear my Busy Hat, they are to avoid interrupting unless it is what they deem to be an 'emergency'! 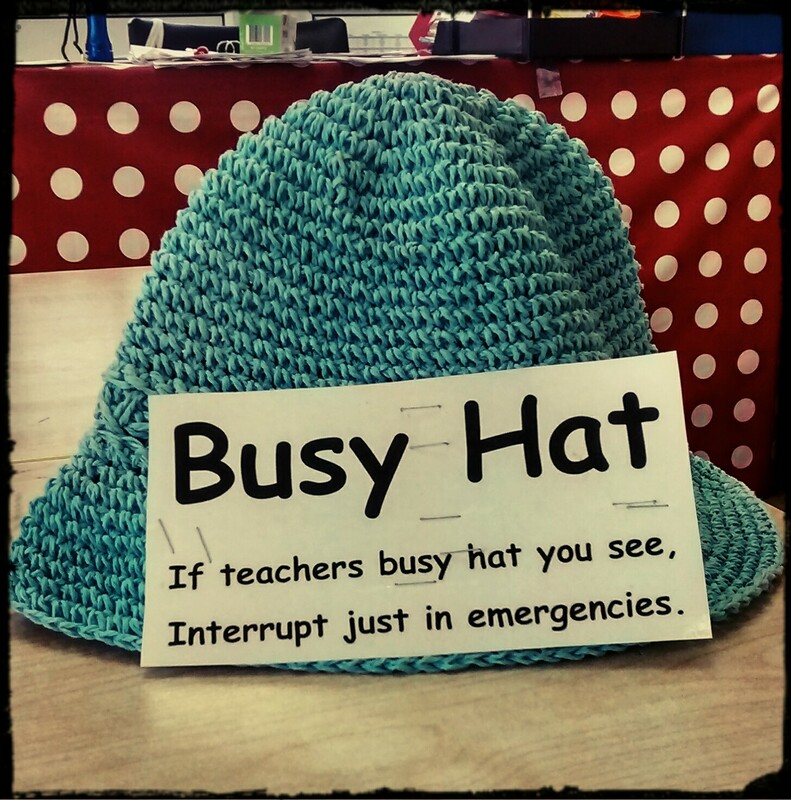 We have a chant to go with the Busy Hat: "If teacher's busy hat you see, interrupt just for emergencies!" You soon get over the mortification of wearing a daft hat in front of your students....trust me...it works a treat!!! 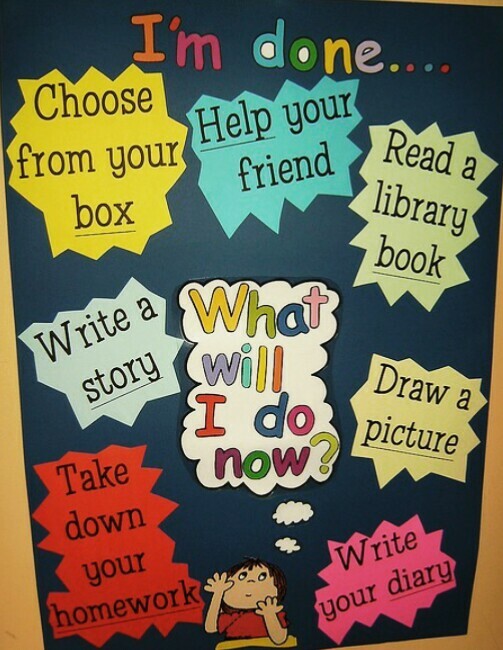 For added effect in older classes and to suit your early finishers, it is always helpful to have some prompts/visual reminders in view so everyone has something to do if they finish their work before you are ready ...let's face it, there's always one!! In the senior classes I found having a notice/poster like this very useful as it keeps disruption to a minimum and keeps the atmosphere of productivity going strong! Looking forward to seeing some pictures of your busy hats!! It's great that you publish such posts. Thanks for sharing.